The family portrait session is booked; the date is on the calendar and you’re excited about your upcoming photo session. But then, you start to get worried. You've invested money, everyone needs a haircut, you don't have a thing to wear, your four year old refuses to wear appropriate clothing, your husband hates the camera and it's all becoming overwhelming. 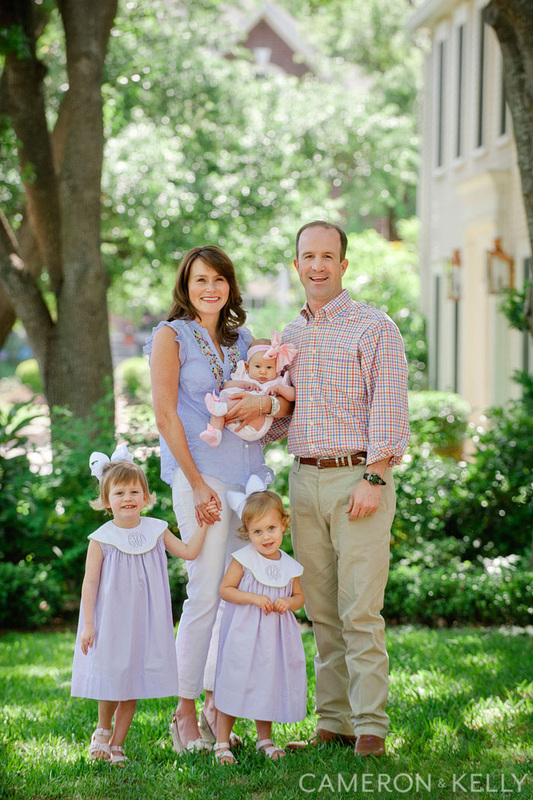 Here are few tips from Jamelle Kelly to make your family photo session a breeze. As always, if you love this content please share it from our site. 1. Communicate your ideas, fears, wants, and all your expectations with your photographer before your photo session. Photographers will know which locations will have good light and make good backgrounds, but it’s harder to make those decisions during your session. 2. If you have small children, schedule the shoot with their regular routines in mind. If they are usually napping between 1 and 3 p.m., don’t plan a session for 2 p.m. You may need to adjust the shoot location to accommodate the light, but happy rested kids are #1 in our book! Also take into account your spouses schedule: is the big game on, does she/he have a meeting or packed work schedule that day? 3. What if the weather is bad? Sometimes, the weather can be challenging when photographing outdoors. If this is the only day the whole family can get together, then being flexible is important. Dressing for the weather is crucial to successful photos. Rain doesn’t always mean cancelation: break out the cute rain boots and colorful umbrellas. Overcast weather usually means great soft light, which photographers love. 4. Color! Don’t be afraid of wearing bright colors for your session. Just say no to the entire family in matching outfits. Bold, bright jewel tones always look great in the grass and pines trees. You don’t want to match your background; you want to stand out. 5. Wear those patterns! Not everyone in the group needs to be in a solid color. This is great time to let kids stand out; patterns, stripes, and layers—anything goes! It’s important to coordinate, mixed prints are in but don't overdo it. Email a quick phone pic to your photographer with your clothing ideas or better yet, let us connect you with a Stylist & Makeup Artist. 6. Casual does not mean the t-shirt and old jeans you wear to the grocery store with your kids. Even if you want a casual look, this is the time to wear the accessories you save for date night! Accessories creating a polished look. 7. If mom isn’t happy, no one is happy! Don’t forget self-care for mom. Plan the day, so that mom can worry about HER hair, make-up and outfit. Moms will always put their kids first, which is why we love them, but mom will never love a photo of herself if she doesn’t FEEL pretty. Happy wife. Happy life. 8. The most important part about a great shoot is a great attitude and an open mind. It’s easier said than done, but try to create a fun atmosphere prior to your portrait session and during it. Don’t sweat the small stuff. It’s NEVER worth having an argument with your family twenty minutes before your session. No issue is worth sacrificing your joy, especially IN the moment. Try not to nag your kids (or your spouse) for their imperfect behavior or smiles at the shoot. Just roll with it. We take a lot of photos and we will remove all the bad ones. 9. Trust your photographer; it’s our job to make you look good. A great photographer will help you feel comfortable and relaxed. 10. If everything doesn’t go exactly as you planned then you know everything is normal. Embrace the chaos because life with a family is never perfect and it’s our job to make order out of the chaos.